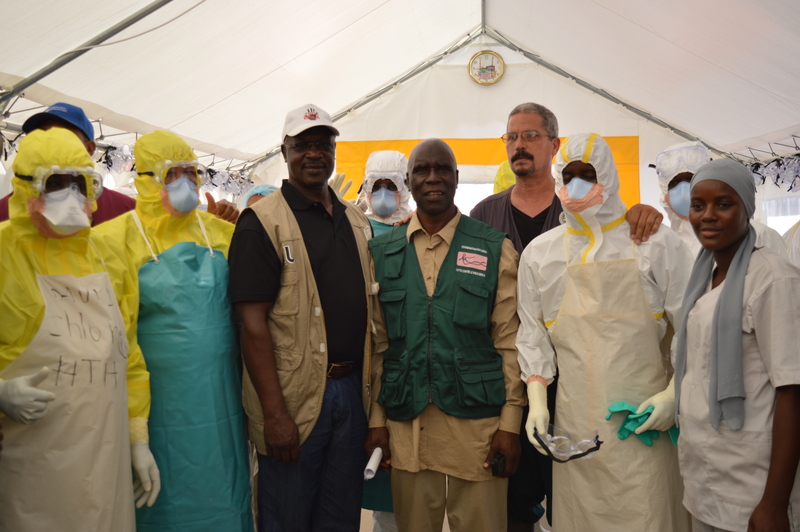 Julius Amumpe, a medical doctor from Uganda, joined the African Union Support to Ebola Outbreak in West Africa mission (ASEOWA), in October2014. His reason, “So that I can make a positive contribution towards helping to control this outbreak at the source, and also to assist my brothers and sisters in West Africa in the spirit of Pan Africanism and African solidarity”. 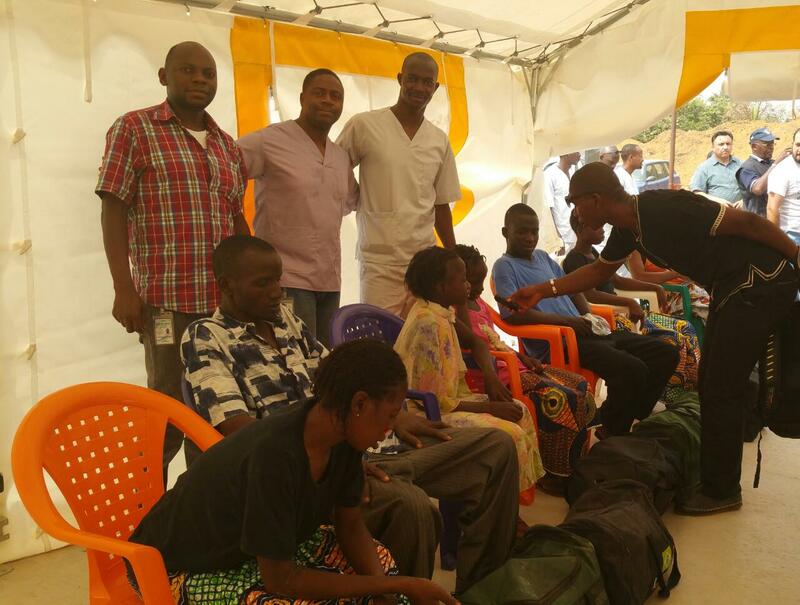 Julius is one of over thirty medical and paramedical staff, who constituted the second batch of expert volunteers recruited from within African Union (AU) member-states. They were flown to the AU headquarters in Addis Ababa, where they were trained and briefed on medical safety procedures to follow when in the field. 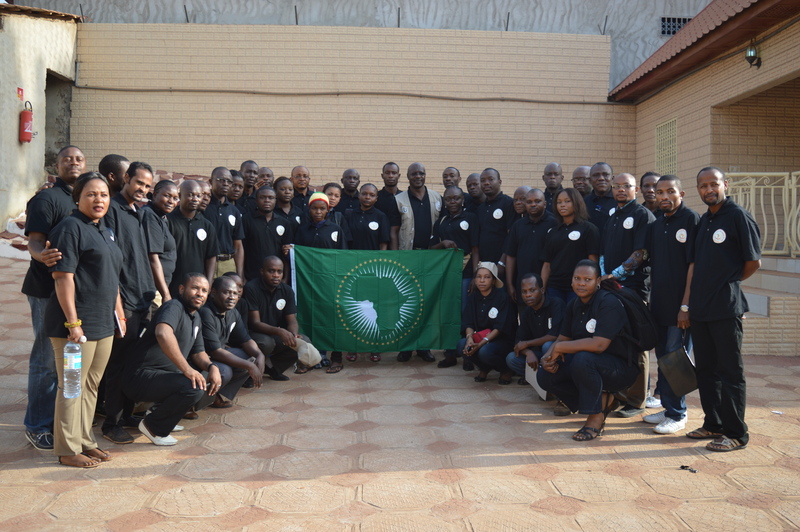 The African Union deployed Julius to Guinea as Data Manager, where he is part of an integrated team of data experts working together with the Guinean Ministry of Health, World Health Organization (WHO), the American Centers for Disease Control and Prevention (CDC), Médecins Sans Frontières (MSF) and other partner institutions. 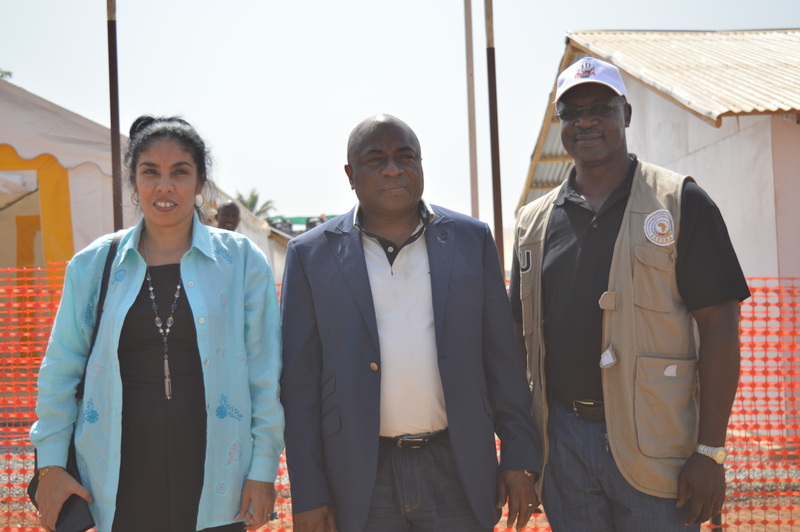 The database is hosted at the WHO country office in Conakry. 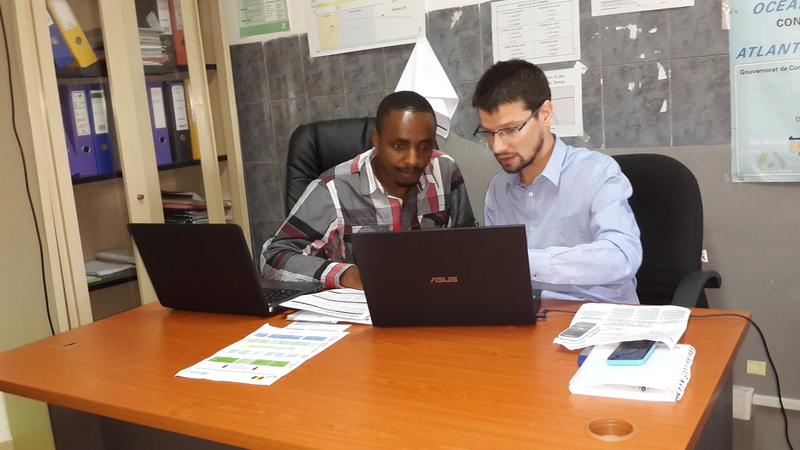 The data management team is tasked to ensure the smooth running of a management information system for the outbreak response interventions. 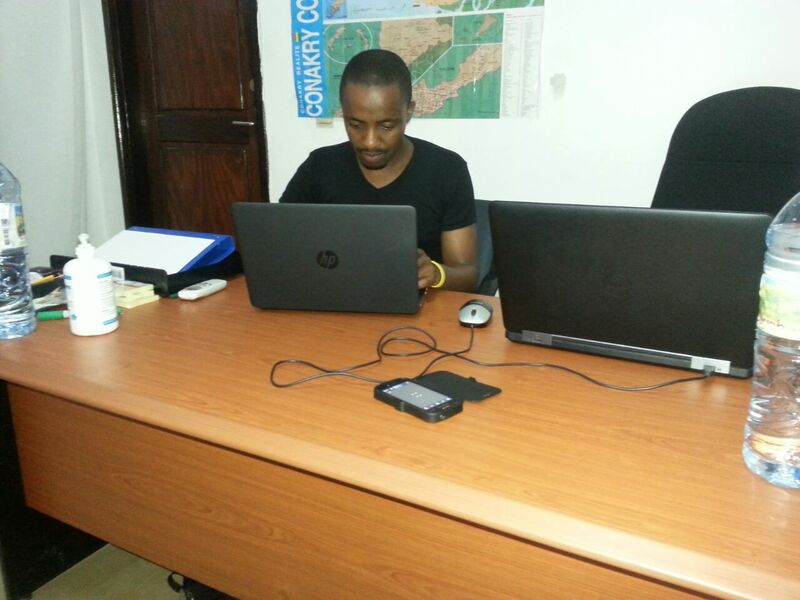 Specifically the team compiles, cleans and analyses real time data to inform decisions made daily by the field teams (field epidemiologists for contacts tracing and Ebola Treatment Units for cases management), the National Coordination Unit, and the wider international community. 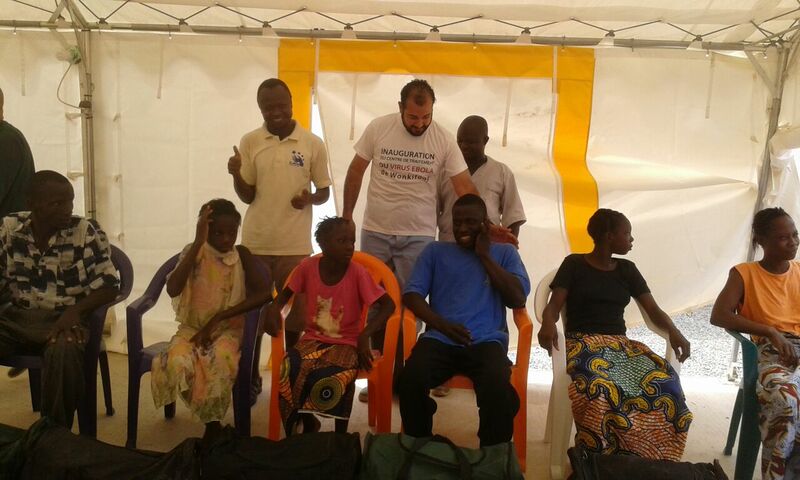 “On a daily basis, we receive lots of input data from all the field teams, that is; the Ebola Treatment Units (ETU), and the epidemiologists in the communities. When this data comes in, it is entered into the database by data entrants, after which I do data cleaning and recording, before we can sit as a team to analyze it. At the end of the day, we produce a situation report which also informs decisions to be taken by the people in the field. The feedback we send to them daily, indicates which people they should continue to monitor, which contacts to trace, and which people should no longer be in the follow up group (non-cases). For us to be efficient, the data must be updated and ASEOWA Updates is compiled by the ASEOWA Communications Team and published by the AUC Directorate of Information and Communication. Julius believes that a lot has been done by the team so far. 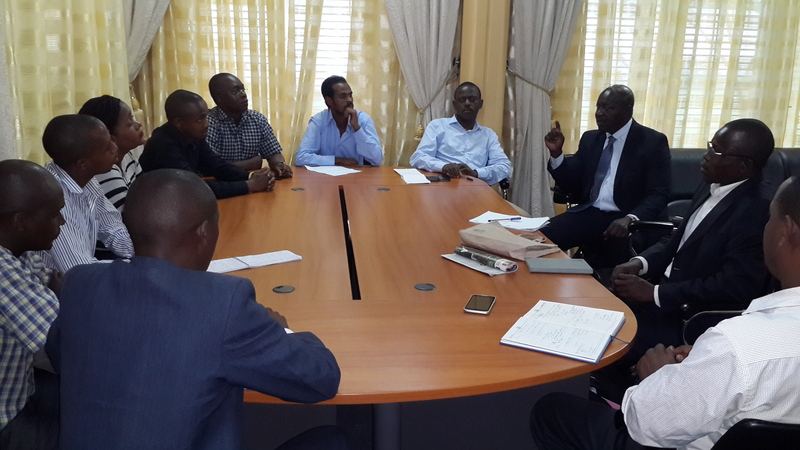 However, he sees opportunities for improvement in data quality assurance and response. With regards to challenges, he says language or communication is one such hurdle, as he comes from an Anglophone country and has to struggle with French in the hope to be understood.